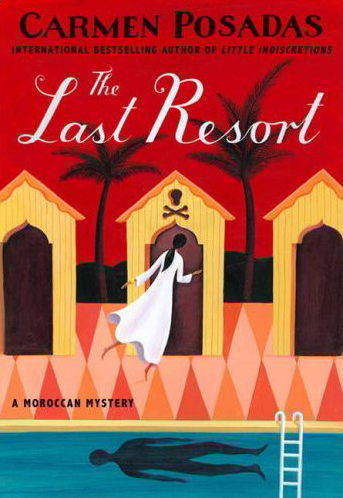 After the death of his mother, Rafael Molinet decides to end his life in the luxury hotel, L'Hirondelle d'Or in the Moroccan desert. He has saved the sleeping pills his psychiatrist has been prescribing and plans to take them at the end of his two-week stay. Molinet has been living in London and before his final trip he lunches with his niece who has come over from Spain. When she spots a fellow diner who has a scandal attached to her, she proceeds to regale Molinet with the whole story. How an adulterous husband has died choking on a nut. The mistress had fled and the wife unexpectedly turned up but it was too late to save him, or was it. The gossips say that the wife didn't try to save him. When Molinet reached the hotel he is surprised to be joined by Mercedes Algorta, the widow of the nut-choking husband, a woman gossiped about by Madrid's high society. Then who should come to the hotel but four Madridites all linked to Mercedes in some way. Mercedes' story reminds Molinet of his own mother's life. She was the object of suspicion when her husband fell down the stairs and never recovered from the gossip. When one of the guests from Madrid threatens to write an article about Mercedes which would ruin her, Molinet feels he has to act. He has to save this woman from the fate his mother had. THE LAST RESORT is a delightful read. Wittily it pokes fun at high society and the hypocrisy within. Once Molinet reaches the resort, the story is narrated in turns by himself and Mercedes, each relating what they've seen at the hotel from their perspective. Each chapter heading and quotation relates to etiquette - Mercedes has been asked to write a book on manners - which in turn relates to the chapter's content. Molinet eavesdrops and receives faxes from his niece so that by the end of the two weeks he thinks he knows all about Mercedes' situation but the question is, does he get it right? In spite of the cover quotes, this isn't a whodunit, the only similarity is that all the main characters seem to know each other, but it is a book for sitting by the pool with and wondering about your fellow guests' secrets. The playful tone is marvellously conveyed by the translator, Kristina Cordero.